In 2018, India surpassed 26,000 MW of cumulative solar capacity and has emerged as one of the world's largest markets for solar PV, providing ample growth opportunity as well. After a year of slowdown and uncertainties, the Indian solar industry is expecting big growth in the coming year. "India is expected to add approximately 10 GW of solar capacity in 2019, and we expect to see continued strong growth in private power purchase agreements, in both rooftop and large-scale projects," says Andrew Hines, Co-Founder, CleanMax Solar. In 2018, India surpassed 26,000 MW (approximately) of cumulative solar capacity and has emerged as one of the world's largest markets for solar PV, providing ample growth opportunity as well. While the government tendering activity was somewhat lumpy, private demand for renewable energy continued to be very consistent, driven both by favourable economics and also by sustainability aspirations, particularly from the corporate segment, says Andrew Hines. According to a Mercom's India Solar report, so far over 26 GW of solar PV capacity has been installed in India, and there is a huge deficit of over 73 GW of solar capacity, to be installed in the next four years to reach the target of 100 GW by 2022. "2018 was a landmark year, with the solar sector undergoing significant changes, thus paving the way for a transition to renewable energy. It was especially a defining year for domestic manufacturers, who received continued support from the government through the imposition of the Safeguard Duty. This created a level playing field for manufacturers to showcase their capabilities and bring in disruptive R&D," says Sunil Rathi, Director, Waaree Energies. He says that one trend in 2018 was an increase in exports, which will further the growth of solar manufacturing in India and help to establish it as a hub for solar energy with the latest technologies and innovation. He says at present technological innovation is at the centre of solar power development in India. "With disruptive techniques that put us at par with our international counterparts, we believe floating solar, energy storage and flexible modules will prove to be important tools in taking solar energy to the next level. With utility scale energy storage solutions being considered as the next big step and with the rising economies of scale, we can see India heading towards a future of energy security through renewable energy," he says. 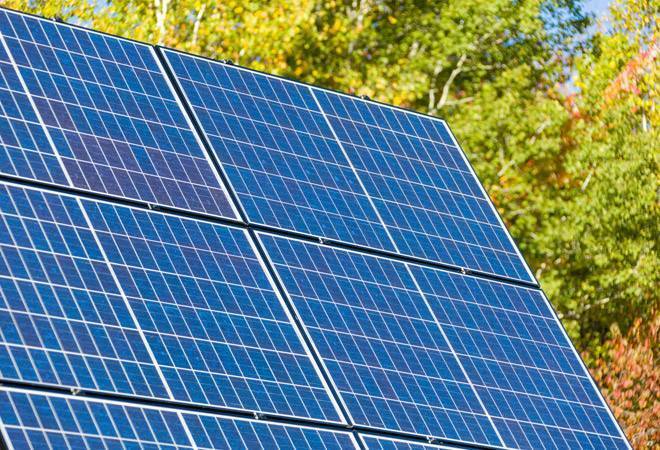 Issues related to tender issuance and auctions, land acquisitions and transmission, lack of co-ordination between various agencies, GST and safeguard duty had caused solar installations to slow down in the July-September period of 2018, according to a Bridge To India report. Capacity addition in the first half of the financial year 2018-19 was only 1.9 gigawatts, 44 per cent less than the previous year. Also read: What's bothering the domestic solar industry?